When you go into local San Francisco dispensaries, you will see people from all walks of life. Some are there for recreational activities, but others are there for their relief or the relief of their loved ones. The legalization of cannabis has opened up a whole new world to people that are suffering from various ailments. There are currently 30 states that allow for the use of marijuana for medical reasons and nine that allow for recreational use. 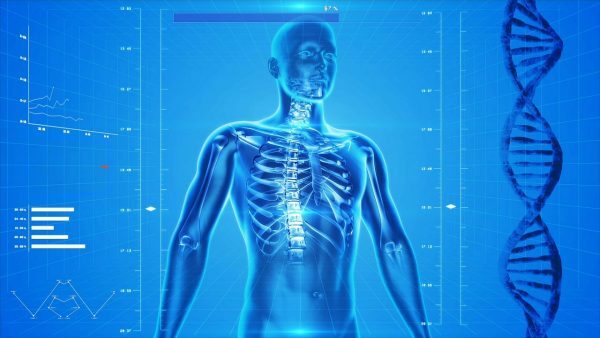 In this article, we are going to go over the medical uses of marijuana and specifically whether cannabis can help patients healing from a spinal cord injury. Spinal cord injuries (SCIs) affect as many as 450,000 people in the United States. Each year there are 12,000 new cases that add to the number of SCIs in America. There are varied reasons for these injuries such as car crashes, falls, and violence. Injuries to the spinal cord can cause long-lasting effects, and if treated improperly, things will be even worse. While SCIs are some of the most traumatic events with long-lasting symptoms and challenges, cannabis is coming to the forefront as a way to help patients. When you are living with an SCI, you are likely to notice a major drop in the quality of life. Your spinal cord is a vital messenger from the body to the brain. This bundle of nerves is responsible for carrying signals from the brain to the body so you can function. When the spinal cord experiences trauma, the signals in the spinal cord are disrupted which causes significant loss of functions. Depending on whether the injury is complete or incomplete, there will be a varying amount of function that is lost. If you are experiencing a complete spinal cord injury, this happens when the spinal cord is unable to send a signal beyond the site of the injury. With a complete spinal cord injury, there is a total loss of function as well as the inability to experience sensations below the injury. With an incomplete spinal cord injury, you experience partial functioning and sensational from the point of injury. How Is Cannabis Able to Help? Whether you are new to looking into cannabis for medical help or you’ve been researching for a long time, the latest findings related to the applications of cannabis and the medical field are promising. Cannabinoids in cannabis can help with multiple symptoms associated with SCIs. While research is still in the early stages, some benefits have already been confirmed. When dealing with muscle spasticity, it can affect how you can move, speak and do other day to day tasks. 65%-78% of people that have an SCI live with muscle spasticity that can inhibit their quality of life. When using marijuana, patients can see a decrease in spasticity which makes it easier to go on with life. While opioid pain medications are usually the first line of defense when it comes to pain with SCI patients, these treatments can cause severe symptoms as well as slow down the healing process. When these pain medications were the only option for patients, there wasn’t much you could do, but now with marijuana as an option, patients as able to experience pain relief without the side effects. Always being on the lookout for the bathroom isn’t always enough when you have an SCI and overactive bladder. Sometimes you don’t make it because of a spasm that hits you at an inopportune time. This can be uncomfortable and embarrassing, and marijuana can help. Using marijuana can help to reduce the overactivity in the bladder, so you can go when you need to go; not when your spasms decide you need to go. If you are experiencing pain and other symptoms from an SCI, you may be considering marijuana as a treatment. While marijuana is a valid treatment, many doctors will not use it as the first line of defense and will often encourage you to use other methods before going down this road. While pharmaceuticals are all tested widely on various types of people, marijuana does not have to go through the FDA, and there are various strains which can react to your body differently. If you do decide to use marijuana as a treatment, make sure to work with your doctor so you can get the best results. Using marijuana is a good experience for some people, and others experience feelings of anxiety and other issues. While research is still new in regards to marijuana and its applications in the medical field, SCI patients are hopeful and continue to try out the method to experience relief. Depending on how you consume the medical marijuana, you may get instant relief, or you may have to wait around a week to start noticing the effects. If you smoke marijuana, you get instant results, but if you want to use edibles or transdermal patches, you will need to wait longer to feel the effects of the medical marijuana. There is no best way to use medical marijuana; only the best way for you.